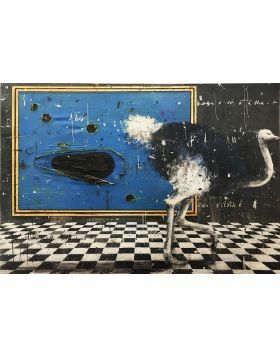 In his artistic path Accardi had always examinated his own subconsious and his works are characterised by the presence of some ambiguous elements, that are in fact misplaced, like in this work where there are some ostriches in the city. 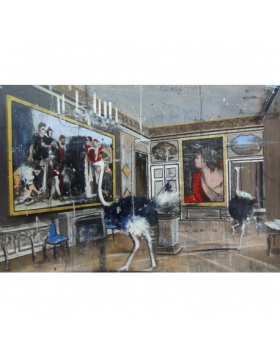 Screen print on paper by Angelo Accardi, signed and numbered in original by the artist. 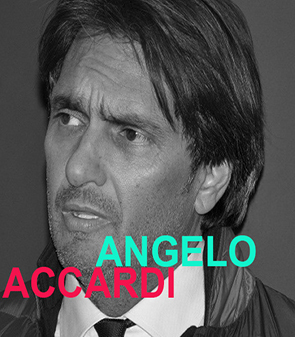 Angelo Accardi, born in 1964, was born in Sapri, in the province of Salerno. 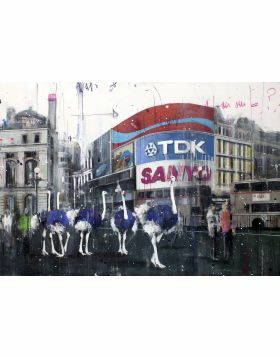 The main characteristic of his artistic path is the continuous search for new sensations. He made his debut with works strongly characterized by the "figure" and by the pictorial dimension, with strong symbolism. Later he decides to attend the Academy of Fine Arts in Naples, but he abandons it: this event marks the beginning of a crisis of artistic identity, during which Accardi's works are of an abstract matrix. 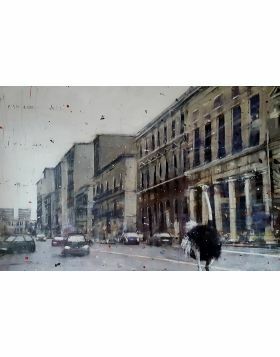 He then decided, in the Nineties, to open his own studio in Sapri, where he began his personal research on figuration with social background and, at the same time, exhibited in prestigious Italian and foreign galleries. The exhibition of the Human Collection cycle in Vancouver marks a further turning point in his career. 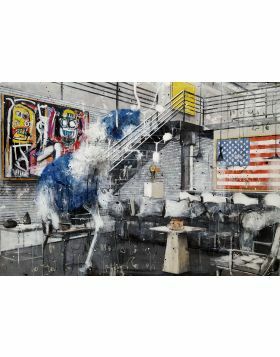 Since 2001 they have followed several solo and group exhibitions (including Speed Generation and Vicious) that allow Accardi to explore more stimulating artistic environments. 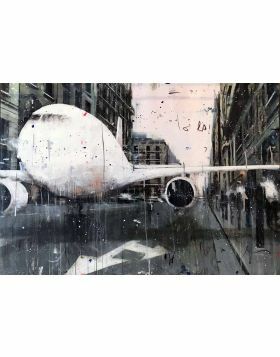 Participates in a traveling exhibition between Florence, Innsbruck, Barcelona and Budapest, in which fifteen canvases of the "Enjoy the Silence" cycle are exhibited. 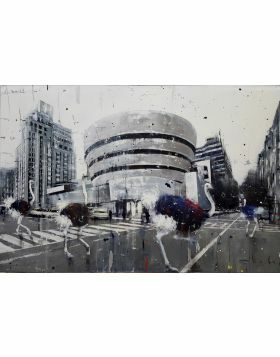 Accardi's works have been exhibited in many exhibitions in Italy and abroad, and the artist always meets the public's favor, thanks to the representation of surreal visions of everyday life set in realistic landscapes of urban landscapes, combined with interpretations of artistic influences of Accardi. 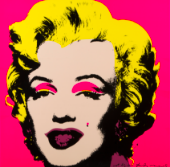 His pieces are animated by symbolic presences embodied in wild animals and popular images of pop culture that ironically reveal the evolution of visual language.